I have always loved to cook with garlic; adding some garlic to pasta, soup, stew, sautéed veggies, or even a salad is a great way to add a punch of flavor. And it turns out that the very pungent breath that garlic inevitably leads to (that always lasts surprisingly long and seems to be resistant to single teeth-brushing sessions!) might be worth enduring for the number of health benefits it provides. So commit to carrying around bulk breath mints: you are going to want to incorporate this bulb into your diet! While garlic wasn’t used in China until the beginning of the sixth century—late for the standards of traditional Chinese medicine—it is now fully embraced by TCM and used to treat a number of ailments including ulcers, high blood pressure and athlete’s foot. The active ingredient in garlic is allicin, and this is what contributes garlic’s odor as well as many of its medicinal properties. The more garlic is broken up—smashed, minced, crushed—the more allicin is released. This is an argument for using real garlic, as opposed to garlic capsules (more on how to incorporate garlic into your diet below!). Science Daily corroborates garlic’s medicinal uses: they report that aged garlic can reverse the buildup of deadly plaque in arteries and help prevent the progression of heart disease citing a study published in Journal of Nutrition in which people with metabolic syndrome who took 2,400 mg of aged garlic extract for one year had “slowed total plaque accumulation by 80%, reduced soft plaque and demonstrated regression (less plaque on follow-up) for low-attenuation plaque.” Garlic is also widely known as a natural blood thinner, preventing heart attacks and strokes. Garlic may also help prevent the common cold: a study showed that people who took garlic supplements for 12 weeks had fewer colds (24) than those on a placebo (65). I will take those odds! 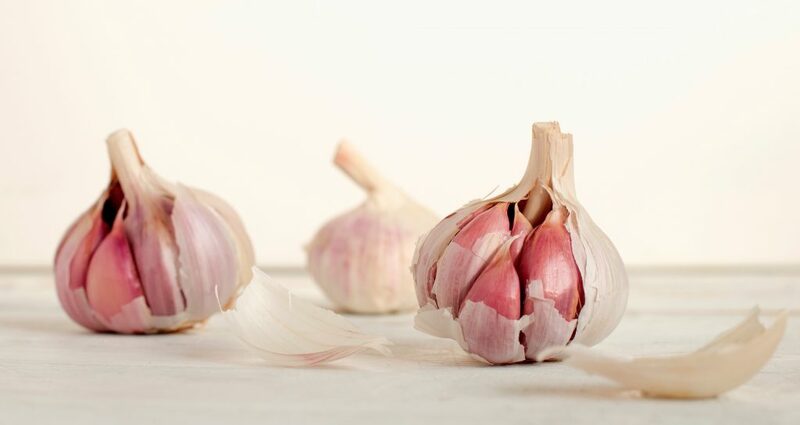 Garlic may strengthen the immune system, as well. In test tubes at least, garlic has been shown to kill cancer cells! And studies have shown that people who eat more raw or cooked garlic—not garlic supplements, however—are less likely to develop stomach, colon and esophageal cancers. While some of these health benefits are contested—Stanford University Medical Center published a controversial study in 2007 that debunked the notion that garlic lowers cholesterol—we know that in TCM, garlic has a special influence on the spleen, responsible for metabolism and energy production; the kidney, which supplies energy to other organs and maintaining the body’s qi; and the stomach. My favorite way to incorporate garlic into my diet is in sautéed vegetables: thinly sliced and cooked in extra virgin olive oil with fresh spinach is so delicious and simple! You can also easily add garlic to salad dressing by using a garlic press: add the crushed garlic to some olive oil, white wine vinegar, and Dijon mustard and whisk, and you have a very elegant and flavorful accompaniment to a green salad. Enjoy with a cup of soothing, steaming tea! This entry was posted in Herbs & Supplements, Nutrition. Bookmark the permalink. Copyright 2019 © Shine Soul Bright. All Rights Reserved.